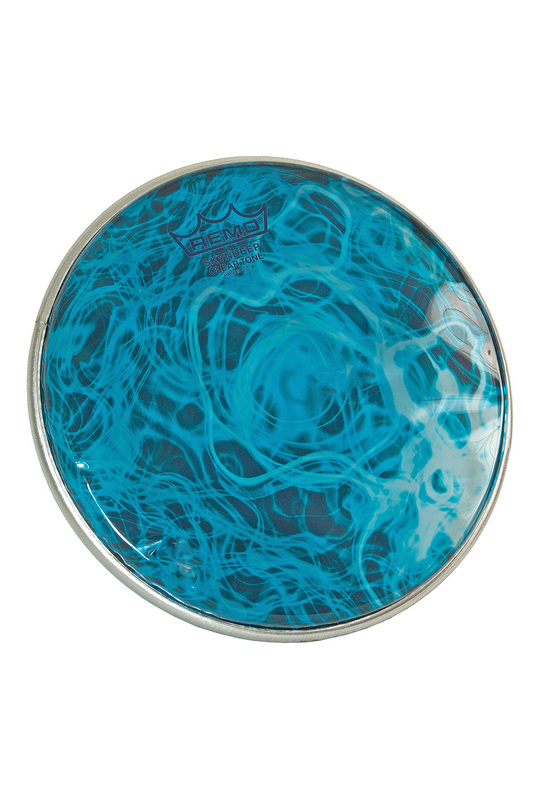 Remo 8.75 Inch SKYNDEEP Doumbek DX Head Turquoise Mist. The DX doumbek drumheads produce rich tek, doum, and slap tones that will inspire you to play for hours.The DX SERIES model drum heads are constructed using the same Remo CRIMP technology used on MARCHING style high tension drumheads. The DX Series drum heads are manufactured using a THIN ALUMINUM CRIMP HOOP that assists fitting on some Doumbek and Darbuka drums with a smaller inner dimension counter.